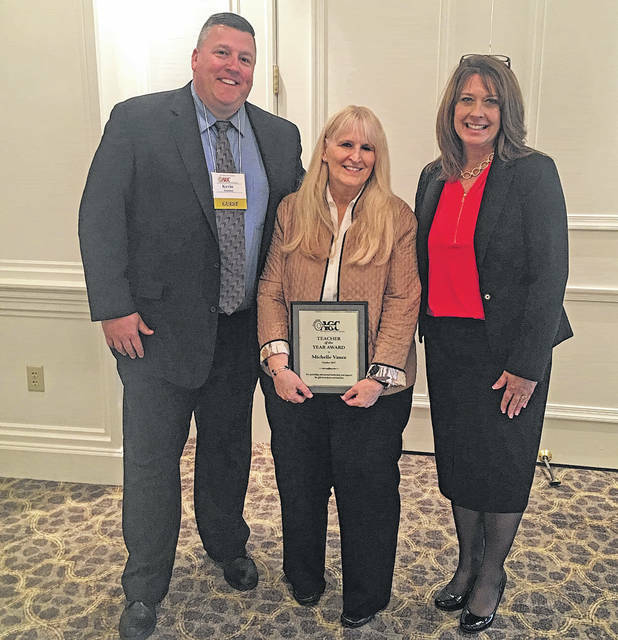 COLUMBUS — Mrs. Michelle Vance, the talented and gifted instructor for second, third, fourth and fifth graders at Bucyrus Elementary School, was named the 2017 Ohio Association for Gifted Children Teacher of the Year Award during the association’s annual conference last month in Columbus. Vance’s primary role in the district is serving elementary school students that have been identified as talented and gifted. She has also contributed to the secondary school by teaching lessons in the middle school and high school engineering classes. Students who work with Vance study robotics and learn about a variety of ways they are used in today’s world. These talented and gifted students also apply the rigor of science, technology, engineering, and mathematics (STEM) content while engaging in activities that investigate the natural world.